The problem of my study is to identify learners’ emotional states triggered for or during gameplay. 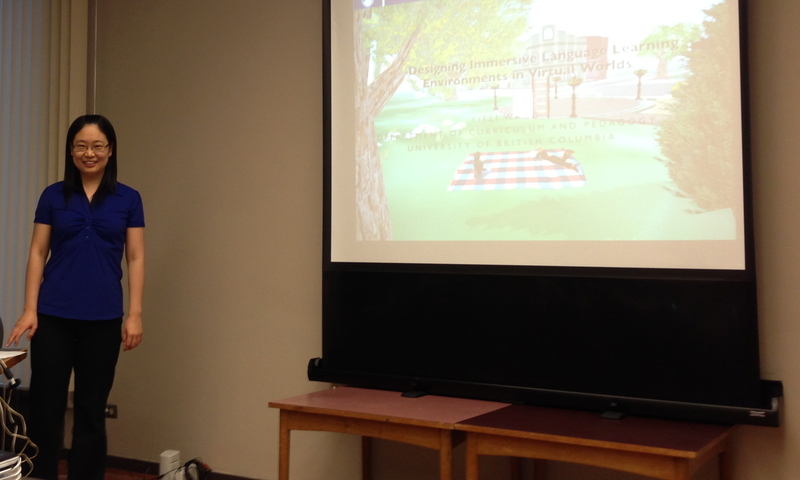 This research will contribute to our understanding of Intelligent Tutoring Systems (ITSs), educational gaming software, and learning. 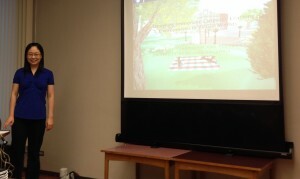 The goal of this study is to provide critical information needed for emotional design with a focus on exploring and understanding emotions during educational game play. Understanding emotional responses in human-computer interaction is extremely timely and relevant for teaching and learning in digital environments. In recent years, ITSs and game-based learning environments have attracted interest as technologies that harness motivation and support learning. Research has focused not only on the cognitive aspects of interaction, but also on affect recognition and response. There is increasing evidence that, in order to design an intelligent and responsive tutor, the learner’s emotions should be properly identified (Conati, Probabilistic Assessment of User’s Emotions in Educational Games, 2002; D’Mello, Taylor, & Graesser, 2007). researchers assembled in the HWL. from a king or queen. Similar to Rodrigo et al. 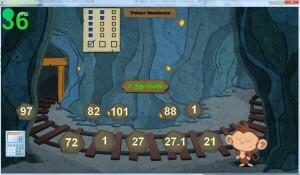 (2012), the Heroes of Math Island game has an agent (the monkey) that uses emotional expressions to respond to situations in the game. This study will provide critical information about emotional design methodologies with a focus on exploring and understanding emotions during educational game play. Understanding emotional responses in human-computer interaction is extremely timely and relevant for teaching and learning in digital environments. What affective states are important with respect to student’s interaction with an educational game? 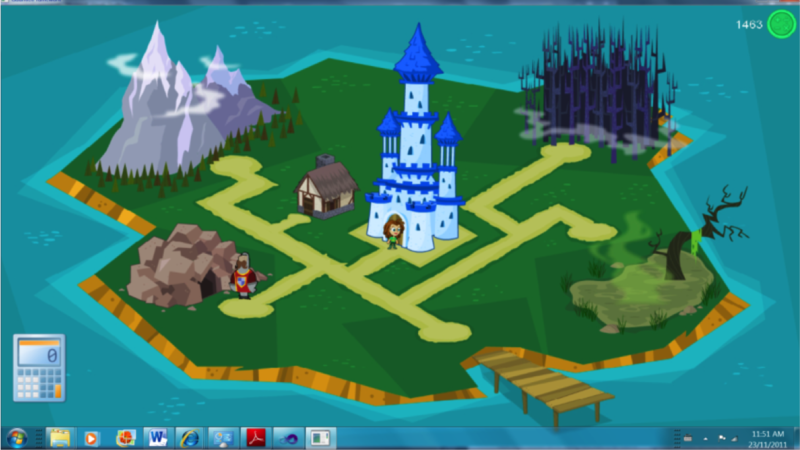 What affective states are elicited during the Heroes of Math Island game play? What are students’ levels of interest and achievement in the mathematics content areas after gameplay? 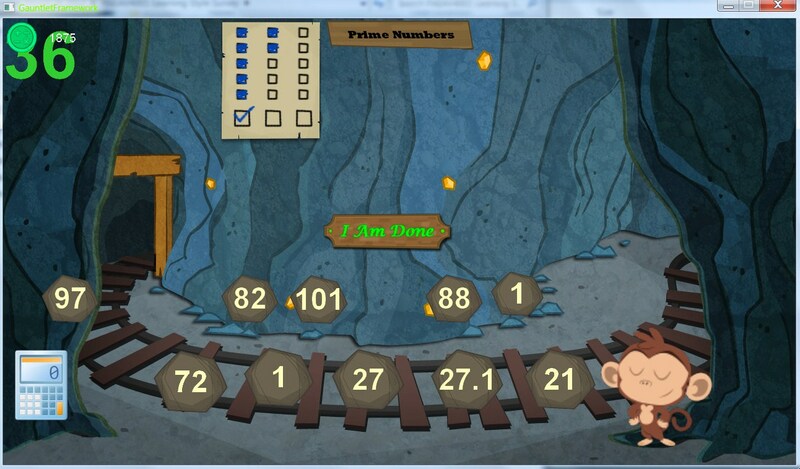 What are the students’ subjective reactions with respect to Heroes of Math Island game and to the underline mathematical content? The game has a mathematical content (students solve 3 activities: divisibility, prime numbers and de-composition); however the focus is on design of technology and on the affective interaction and response. 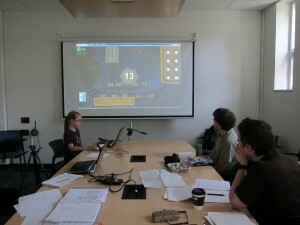 Experiments were conducted by me and three BCIT students who were knowledgeable with respect to this study and involved in the design and implementation of the game. How do girls, through their artifact making and designerly practices, story themselves and contribute to technology culture (i.e., what kinds of stories do girls make and tell about girlhood in-interaction-with/against technology)? What are the impacts and effects of adopting designerly roles (i.e., game designer, media producer, robotics engineer) in terms of developing girls’ ability, confidence, interest, and participation in technology? Recent advances in digital media and technology have led to breakthroughs in communication, education, entertainment, health, and learning. Today’s girls, the most avid technology users of any generation, now have widespread access to the most ubiquitous productivity tools in human history. With unprecedented opportunities to live better lives and realize their fullest potential, it is an exciting time for girls to be alive! And yet, despite all the liberating possibilities, many girls are distancing themselves from technology fields, careers, symbolism, and ideologies. Academic and industry research from the past thirty years documents that females continue to be under-represented in technology-related studies and professions, especially the industries that design and develop new technological innovations. How might we empower girls with the confidence, literacies, and tools that are necessary to benefit from and fully participate in advancing our increasingly mediated and technologically dependent society? My dissertation begins with the premise that engaging girls with hands-on, heads-on, hearts-on, and feet-on experiences as designers and researchers of technology can be personally and culturally transformative in pro-feminist, pro-social, and empowering ways, rather than simply reproducing existing gender and generational roles. 29 co-researchers (girls ages 9-13) and I work closely with UBC faculty, graduate students, and teacher candidates at 101 Technology Fun, a series of intensive research camps offering designerly learning experiences in gaming, media, and robotics for middle school girls. Utilizing creative and participatory approaches to data collection, including design thinking challenges, iLife diaries, and ME documentaries, my study examines: How do girls story themselves through their artifact making and designerly practices? How are diverse cultural constructions of technology adopted, rejected, and remade by girls? What are the impacts and effects of adopting designerly roles in terms of developing girls’ agency, capability, interest, and participation in technology? Analysis of co-researchers’ artifacts, designerly practices, and research reflections are integrated with theoretical and empirical understandings to contribute a working portrait of how contemporary girlhood is constructed in-interaction-with/against technology and stories. Highlighting the need for girls’ voices to be recognized and given influence in educational research, this study exposes some of the gendered risks and opportunities, generational barriers, technical ingenuity, and transformative learning that girls articulate and reflect upon as they design and share artifacts and stories. Findings call for increasing girls’ agency and capability to participate as the designers and innovators of technology such that they can experience or effect more equitable and sustainable technology futures. Popular media plays a persuasive role in our everyday lives as we make sense of our identities and the media constructed world in and around us. Consider how much of your view of reality is based upon “pre-constructed” media messages that have attitudes, interpretations and conclusions already built in. How do mainstream media affect the ways you see yourself (and others)? How do media advertising convey (explicitly or implicitly) ideological messages about the nature of the “good life”, family values, friendship, citizenship, gender roles, sexual attitudes, body image, sustainability and consumption? All media are constructions. Media do not simply reflect external reality, rather, they present carefully crafted constructions from which we negotiate meaning and build our picture of reality. It is no secret that we are highly manipulated, gendered, socialized and commercialized by the media— we don’t see things as they are, we see them as we are. Understanding persuasive and ubiquitous media is vital for participating in our shared world(s), however we spend precious little time analyzing the influencing media messages that we are bombarded with each and every media-saturated day. Here are a few handpicked ads to deconstruct. Note: they reflect the zeitgeist of the early 1900’s and were not designed with irony or humor. Cocaine was sold over the counter and commonly found in products like toothache drops, dandruff remedies and medicinal substances. See how happy your children will play together if you treat them tococaine candies! And if your dear ones have a cough, cold or any other disease of the throat and lungs, do not worry as a good dose of heroin will save the day! From 1898 through to 1910, heroin was marketed as a cough suppressant by trusted companies like Bayer, alongside the company’s other new product, Aspirin. Mrs. Winslow’s Soothing Syrupcontained 65 mg of morphine per fluid ounce for teething children.